Yes, it can happen. 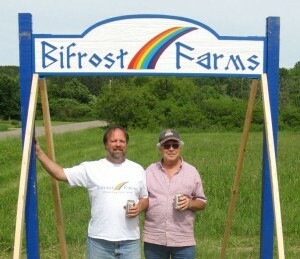 Not that that isn’t what you come here for, but remember when I said their would be more to Bifrost Farms than just boarding? Well, we will have goats. Yes, goats. And BBQ. NOT BBQ GOATS, though!!! Anyway, on June 25th Joel and I prepared BBQ brisket, baked beans and wasabi slaw for 250 of Don Robert’s closest friends. It was truly a community event that we were proud to be a part of and I got to see many familiar faces and meet some new people, too, which is always my favorite part!! 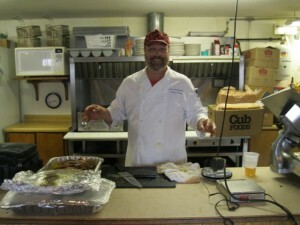 Jody Slocum took this picture of Joel behind in the kitchen of The Dutchman Bar and Grill in Ridgeland where the even was held. In her email to me, she titled it “Happy Guy” and I’d say that was pretty accurate. One day, possibly next summer, we’ll have the small building completely converted to a commercial kitchen and BBQ, along with our secret recipe compound butter and BBQ rub, will be available to everyone. You see the thing with us is…we just can’t NOT cook. It’s in our blood as much as our love for dogs. Another interest which I foresee becoming a passion is dairy goats. 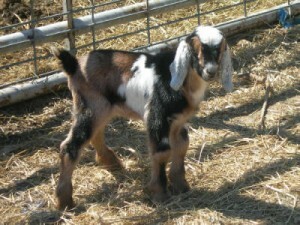 We visited Green Gables Mini Nubians farm a few weeks back when Joel’s parents came to visit. Instantly in love is putting it mildly. As soon as I walked into the pen, tiny goats were nibbling my shirt tails and suckling on Joel’s finger. And being the most prepared person in the world, I brought my camera…and forgot to take pictures. I was too enamored of the little caprine critters. 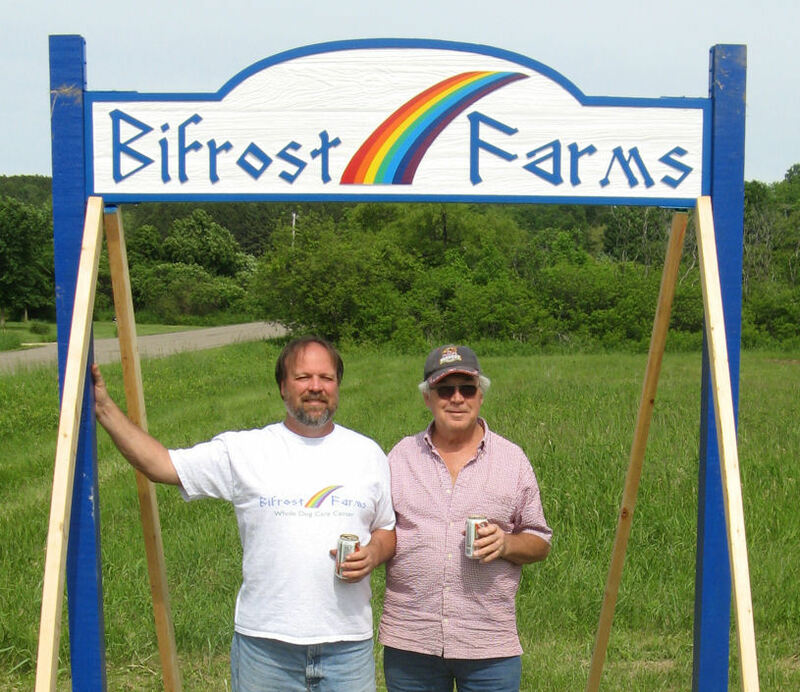 Lucky, Eliya of Green Gables has tons of pictures on her website, so I’m going to borrow one to show you what the future residents of Bifrost Farms might look like.